In the World Surf League Championship Tour, the J-Bay Open is the 6th event. Last year, after not running it for a couple of years, there were huge celebrations as the event returned to Jeffreys Bay. One of the most popular stops on the Championship Tour has always been J-Bay and Supertubes. Last year’s event, although in mid winter, finished off in style with lovely hot sunny weather and a solid six to eight foot swell pushing down the point. The winner was Australia’s own, Mick Fanning who defeated his fellow Australian, Joel Parkinson. This year, after a few lay days, the crew were chomping at the bit to get the show on the road. But on Saturday morning, while standing on the boardwalk at Supertubes in the pouring rain, not many were in high hopes while watching the on shore sets run down the point. But nevertheless, there was no other choice but to run the event, the guys were already sitting on day 11 of the 12 day waiting period. So the event was called on to start Round 4 at 1pm. Not long after the early morning flatness, it soon switched into four foot lines; and everyone was ready for action. After the eliminations of the Australians, Taj Burrow (in Round 2) and then fellow Australian, Owen Wright and Filipe Toledo (in Round 3); there were only two surfers left to go out and challenge Adriano De Souza for the number 1 spot. Everyone was wondering who would leave wearing the yellow jersey. Would it be the J-Bay defending champion; Australian’s, Mick Fanning if he made it to the final, or his fellow Australian, Julian Wilson if he wins the event? Sunday, no matter what, had to run! There were 11 heats left and only 1 day to run them all. The swell was forecasted to pick up by midday. 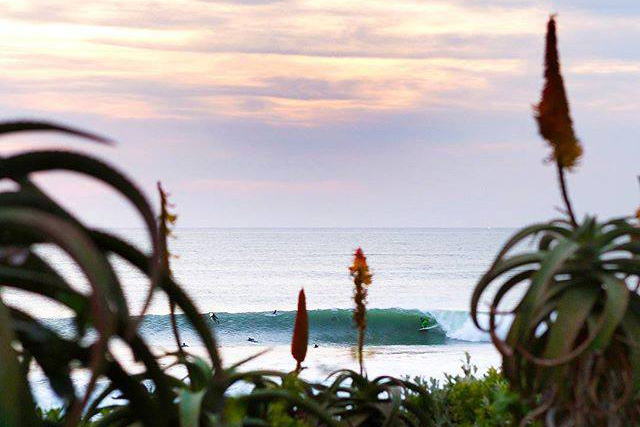 Everyone was waiting for the J-Bay Open 2015 Champion to be decided by late afternoon. Summer Surf Destinations: When is the Best Time to Bail on Your Home Beach?